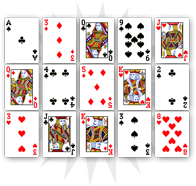 In classic cartomancy, the five of clubs is a good omen. It announces success without any compensation. 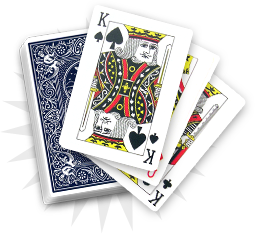 Contrary to the four of spades that indicates triumph over an obstacle, the five of clubs is very positive, as it does not bring any problem. 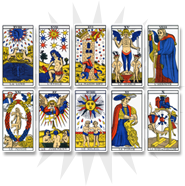 During a reading, the five of clubs should be placed in its context as next to some heart cards it evokes meeting the loved-one or the union of two individuals. Next to some diamond cards, material success will be encountered with a perspective of personal and/or professional enrichment. You can welcome the next few days with optimism. The five of clubs is a very good omen and announces the complete success of your personal projects. This card’s attributes are extremely positive and announce a romantic meeting or a union, which will bring joy and happiness. You can count on your relatives. 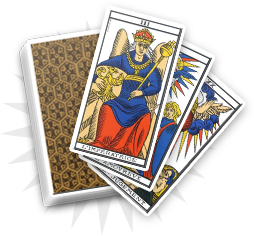 The five of clubs is full of positive attributes and announce the realization of your entourage’s projects. The other cards from the reading will tell you why you will be so happy for your relatives.